Now Access Wordpress, Photobucket, Flickr And Twitter Via Windows Live ! You might have noticed the changes in Windows Live; definitely, this feature will be one of the best features you need. Facebook has been added to Windows Live, joining other services like wordpress-262-free-download/">Wordpress, Photobucket, Flickr, and Twitter, so everyone in your Windows Live network can see your updates from across the Web via the "how-to-get-email-alerts-whenever-anyone-edits-google-docs-form/">What's New" feed. windows-messenger-and-hotmail-now-come-to-your-mobile/">Want to know your Mobile Windows Messenger ? Everyone loves pictures, and now you can use Windows Live Photos to how-to-get-gmail-access-in-android-and-iphone/">store and share your favorite images with people you care about. With 25 GB free storage, it's even big enough to backup your now-facebook-starts-rocking-with-pingbox/">photo library. You don't have to make expensive long distance calls on your google-set-to-release-orkut-app-for-mobile-phones/">phone or mobile phone. 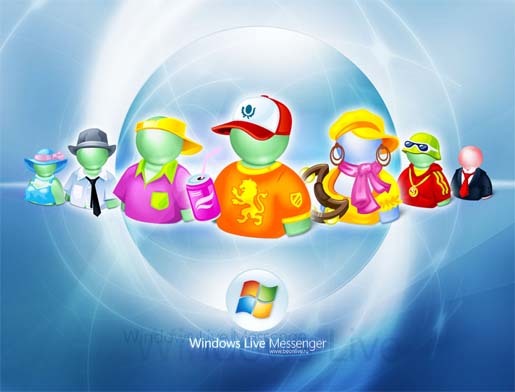 Instead use Windows Live Messenger to place video calls from your computer. It's easy, and could save you money. Want to share something you read online? Withhow-to-stop-automatic-installation-of-internet-explorer-8/"> Internet Explorer 8, simply highlight the text, right-click, and select "E-mail with Windows Live" to e-mail it right away. Accelerate the Web! This offer was created specifically for Windows Live users: now you can get a great deal and free shipping on a microsoft-arc-mouse-easy-to-fold-easier-to-use/">Microsoft® Lifecam at amazon.com. Use it to make your video calls, create video messages, or dynamic display pictures for your Messenger. With Windows Live Photos, you can easily send photos from your mobile alertfox-lets-you-monitor-your-website-in-high-technology/">device to the Web, and then share them with friends. Community member Braden walks you through the brief set-up process. how-to-send-empty-messages-in-gmail/">Show someone you care with a free video message! Want to thank someone, wish them ayou-can-never-forget-your-friends-birthday-in-orkut/"> Happy Birthday, or just say hi, in a fun way? Email them a short video message. It's free and easy, and I'll show you how. apply-password-to-your-files-in-seconds-with-empathy/">How long has it been since you changed your Hotmail password? Several years or more? Maybe you've never changed it. You can help ensure the security of your Hotmail account by occasionally changing your password. Learn why it's important, and how to create an make-your-chat-easy-with-omega-messenger/">easy-to-remember, but hard-to-crack password.